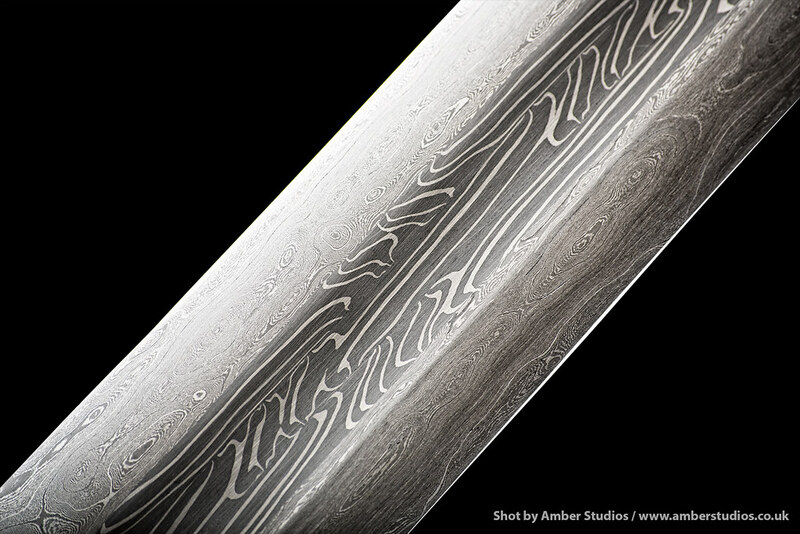 Here are some great photographs by Peter Rebac of Amber Studios, Edinburgh of a Sword made by Paul Macdonald of Macdonald Armouries. 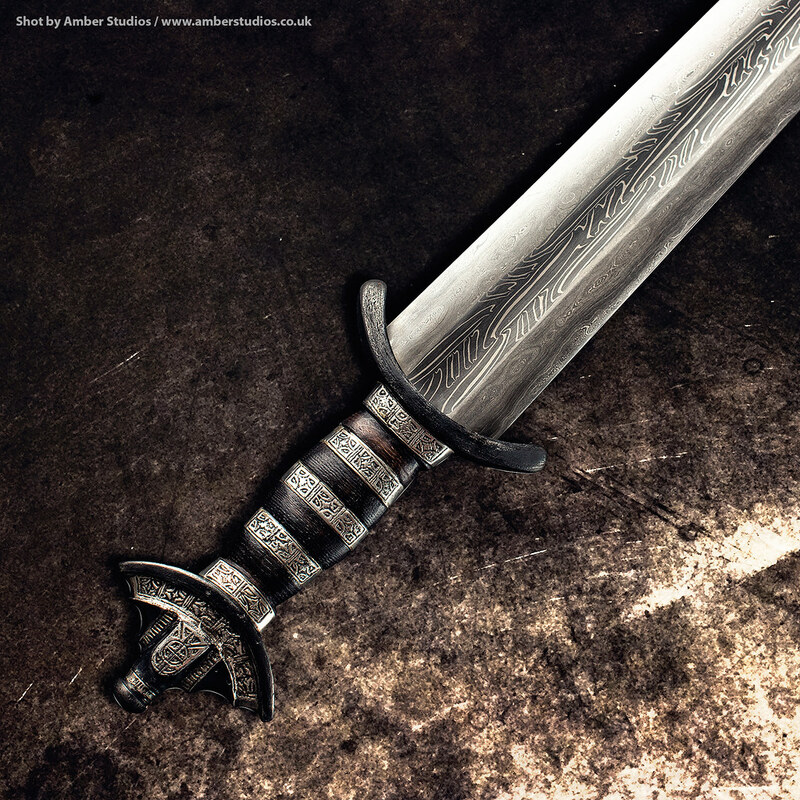 The sword is a reproduction of the Gilling sword in Yorkshire museum. I made the blade , the commission and the rest of the work was Paul Macdonald's. Blade is en42J and 15n20, 7 layer twists with high layer edge (700 or so) . the handle is wrought iron stabilised bog oak and silver. I really love the look of this piece and the photographs bring out the visual texture briliantly. there is an underplay to it all that I really love. I get great satisfaction when a blade of my making is brought to life in this way in someone else's hands. 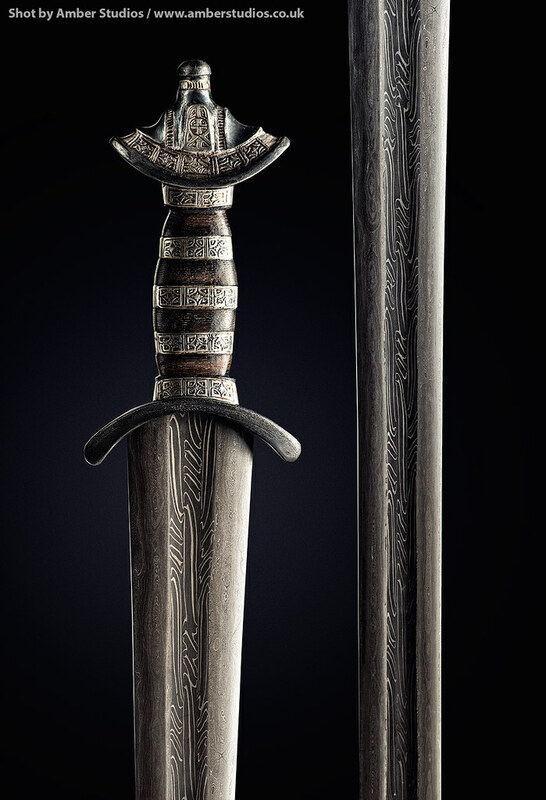 This is one really nice sword and one of my all time favorites. Congratulations on an combined effort I envy the new owner he must be so proud. Wow! Lovely sword. You did a great job on the blade Owen! Any chance to see a full length shot? One of my all time favorite swords and by far my favorite re-creation. Very good work from both craftsmen! Great work Owen and Paul -- truly tremendous. Superb! Amazing work both of you.